1. You can go for family suites: This is something that has come up as the newest fashion in cruising holidays which is possibly the best alternative that is preferred by the family members. Earlier, families only used cabin arrangements but today cruise lines have come up with new family arrangements that comprises of family restrooms. They are made in accordance with the number of family members in the family and it usually seems best to have room for a family of five or more. They have many other perks along with providing a very comfortable stay, like private balconies, multiple washrooms, bathtub facilities, living rooms etc. They also provide additional services like caretaker facilities, priority boarding, butler service, priority departure privileges, and many more. It can accommodate the sleeping facilities of around 8 members of one family at one space that is very convenient because it endows them by the facility of staying together as one and have desired privacy. 2. Family Staterooms: Although earlier, cruises did not offer these facilities but nowadays, most of the ships offer family staterooms that comprises of private balcony, an exquisite view to the sea along with great interiors and comfortable accommodation facilities that can easily adjust a family of six members. They are not as grand as a suite, but they offer other perks like separate living area, split bathroom facilities and very suitable access to the areas for the children. 3. Two stateroom facilities: When you reserve two staterooms, it can be very reasonable than booking a family stateroom or a suite. 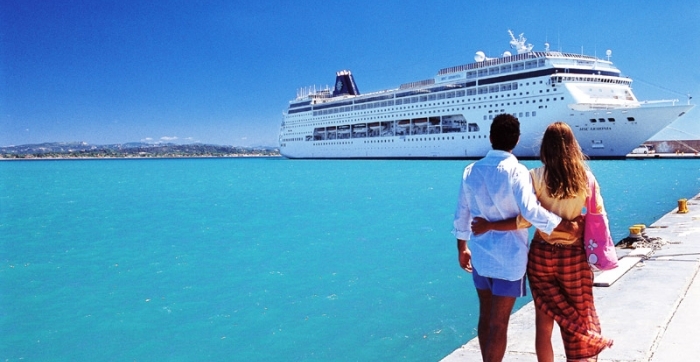 Many cruise ships have restricted number of connected staterooms that provide access to the private doors between two or more rooms, yet if you book early you can avail the services that are best for the small budget vacation. This provides the opportunity to share one large area with supplementary advantages other than getting personal closets and comfortable sleeping areas. 4. One stateroom: If you book one stateroom, it can easily accommodate up to 5 family members and turns out to be the best and most affordable alternative for you. They include twin beds, Pullman beds and either a sofa bed or a rollaway.